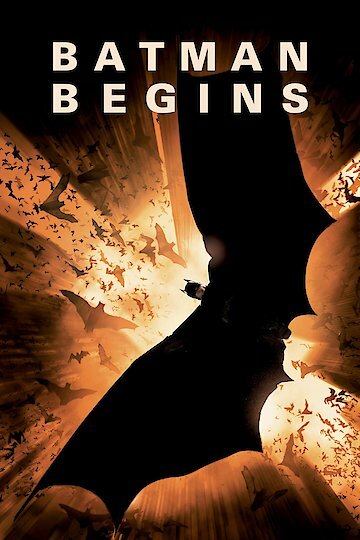 Batman Begins is a superhero movie from 2005 and the first leg of a film trilogy directed by Christopher Nolan and written by David S. Goyer and Nolan. This film also serves as a Hollywood reboot of the Batman films that have come before and goes for a more realistic take on the Batman. The film's actors include Christian Bale as Bruce Wayne/Batman, Michael Caine as the Wayne family's butler Alfred Pennyworth, Katie Holmes as the film's love interest, Cillian Murphy as Dr. Jonathan Crane/Scarecrow, Gary Oldman as Commissioner Gordon of the Gotham Police Department, Liam Neeson as Ra's al Ghul (incorrectly pronounced from the Arabic as "razz" instead of "raysh"), and Morgan Freeman as Lucius Fox, head of the Research and Development department at Wayne Enterprises. The plot of the movie involves the death of Bruce Wayne's parents by Joe Chill in a back alley. While mourning over this loss and walking around his manor, Bruce falls through a well and into a bat cave, an event that inspires his chiroptophobia. Some time later, Chill is paroled after testifying against crime boss Carmine Falcone. Bruce hears of this and initially plans to shoot the man in a fit of revenge and poetic justice. This does not go as planned and Bruce decides to study about the criminal underworld before joining it. Traveling abroad, Bruce encounters the League of Shadows, training in the arts of stealth and subterfuge as well as overcoming his fear of bats. Years later, Bruce returns to Gotham City, disgusted with how corrupt it has become. After reuniting with Alfred, and learning of his family company's current focus, he meets Lucius Fox. Lucius shows Bruce the various prototypes that the company has worked on, including an armored bodysuit and a uniquely-designed armored vehicle. Empowered and emboldened by this equipment, Bruce establishes a secret bunker to store his equipment and vehicle, assuming the superhero alias of "Batman." As Batman, Bruce manages to intercept a drug shipment, providing his reporter love interest with evidence against Carmine Falcone for the Gotham Police Department. However, when the ensuing trial occurs, Falcone and his lot are found to be mentally unfit for trial and are sent to Arkham Asylum where Dr. Johnathan Crane experiments on them with fear gas, using a burlap sack as a mask, causing the criminals to fear "the Scarecrow." Eventually the League of Shadows shows up in Gotham, ultimately planning on infusing Dr. Crane's fear gas into Gotham's water supply, destroying the "corrupt" city. Ultimately, the Batman stops the League. Batman Begins is currently available to watch and stream, buy on demand at Amazon, Vudu, Google Play, FandangoNow, iTunes, YouTube VOD online.